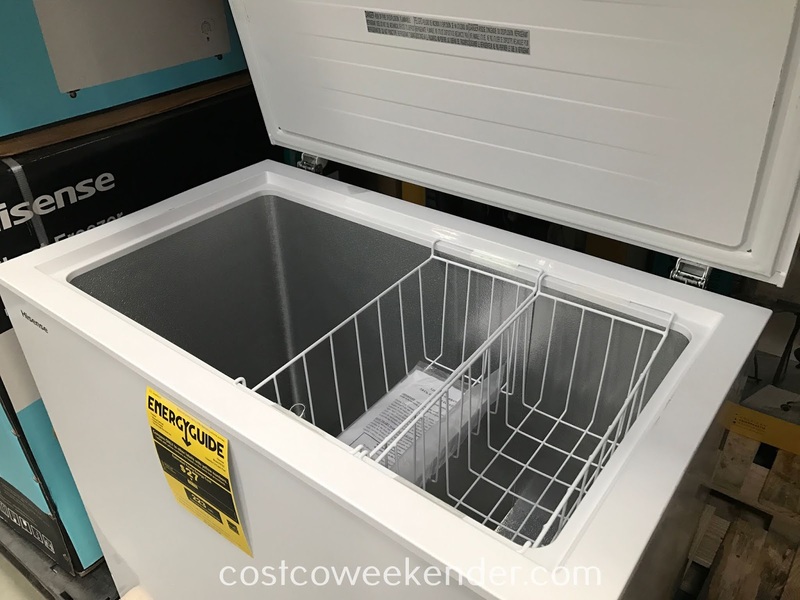 Every household can always use more freezer space right? 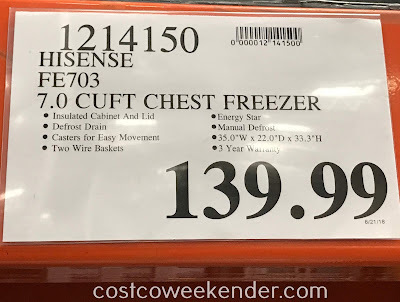 That's why Costco has the Hisense Chest Freezer (FE703), so that way you can freeze more food. 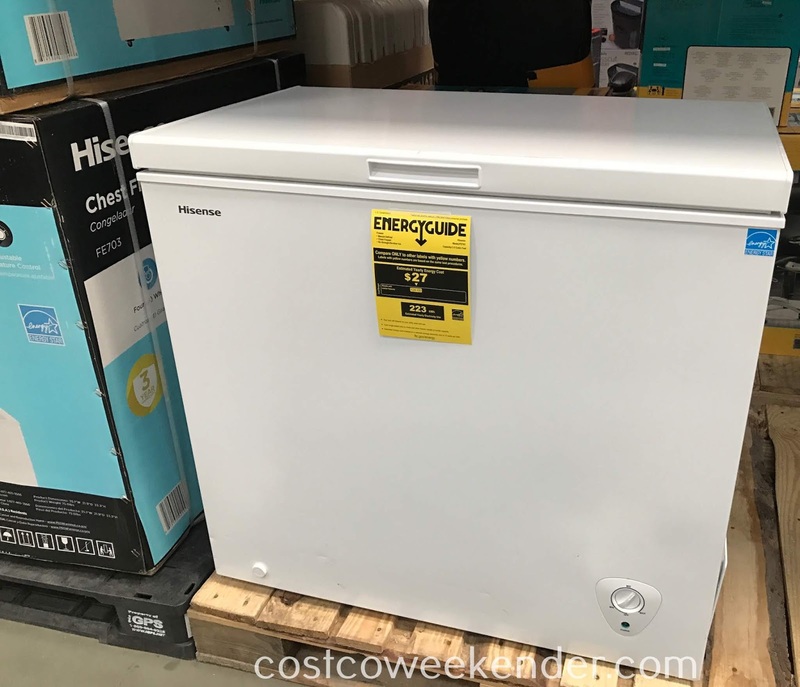 This comes in handy when you want to preserve a lot of meat or even have a bag of ice on hand in the event you have a party or bbq. 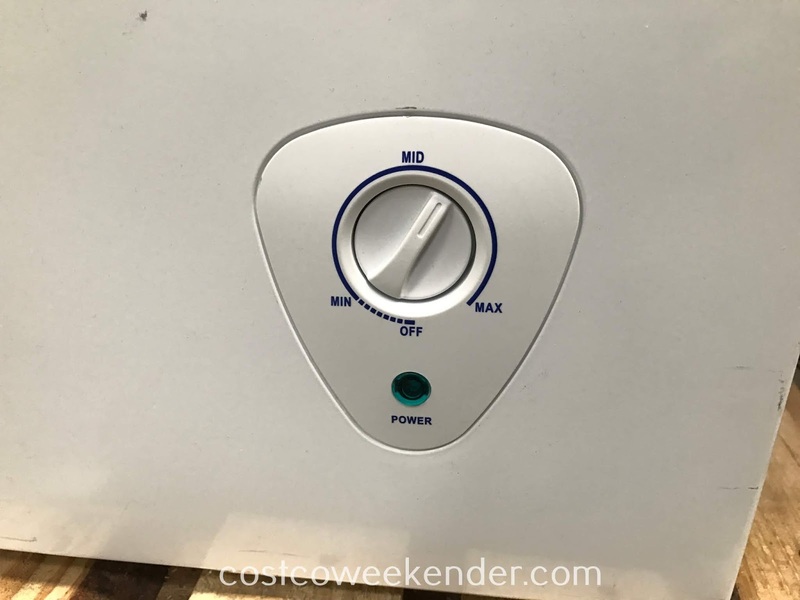 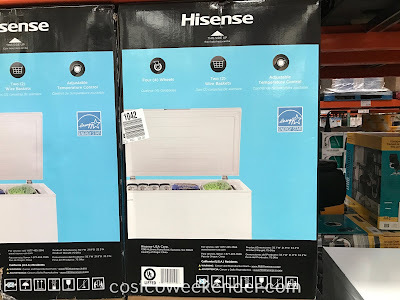 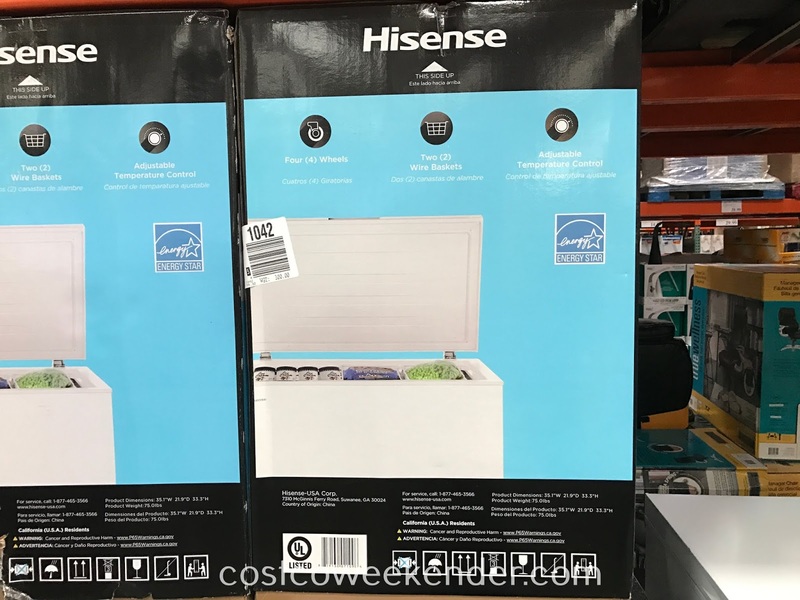 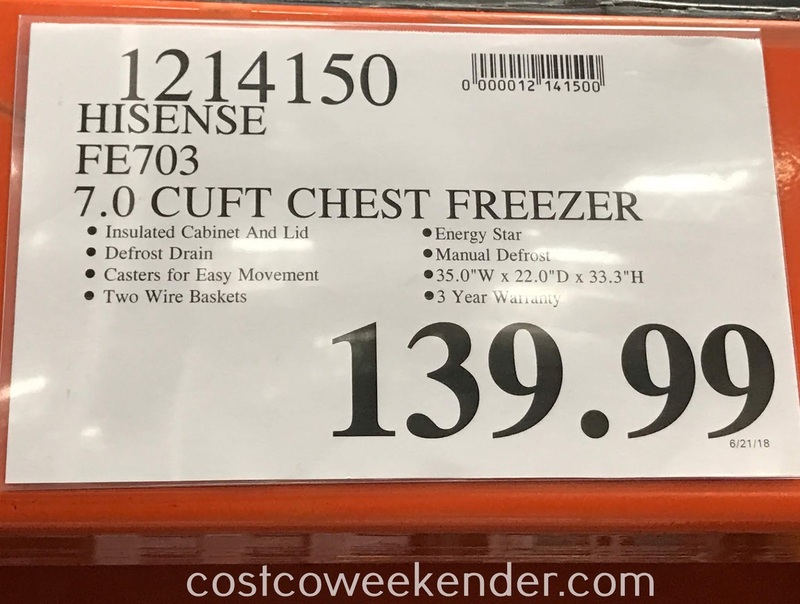 The Hisense Chest Freezer (FE703) will be great in your garage or pantry, so if you're regular freezer always seems to be full, then check out the Hisense FE703 Chest Freezer.